FX package: 153 x 67 x 358 mm (W x H x L). 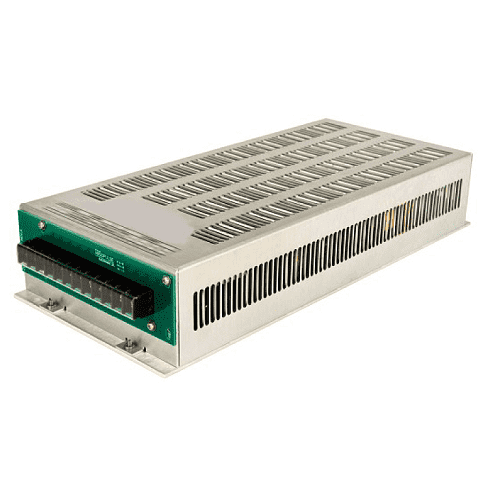 The HHT 300-FX and HHT 500-FX series of DC-DC converters deliver 300W and 500W continuous output power respectively. 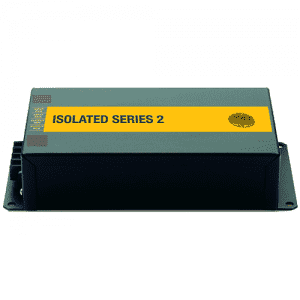 They are designed for heavy-duty industrial applications that require high DC-input voltage at high temperatures. 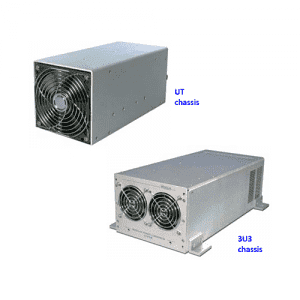 The units operate over a wide baseplate temperature range of -40ºC to 85ºC for full specification without derating. No forced air is required. 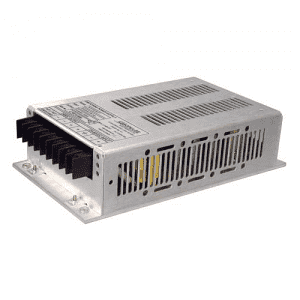 All heat generating components are installed on aluminum heat-sink blocks which are thermally coupled to the heatsink fins and cooled by conduction. 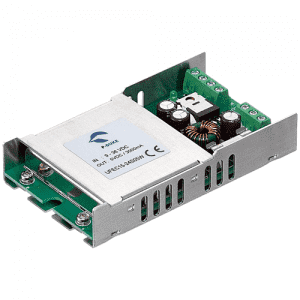 The DC-DC converters operate from high DC-input voltages with wide input ranges including 400Vdc (300 to 500V range), 500Vdc (400 to 600V range) or 600Vdc (500 to 700V range). 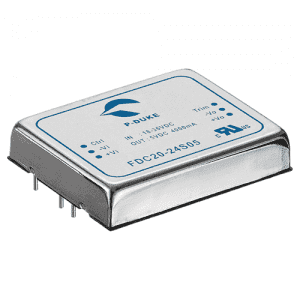 They provide 24V, 48V, 72V or 125Vdc output voltage. 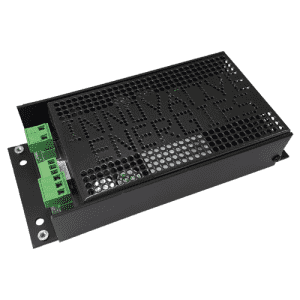 Custom input and output voltages are available. The input and output are filtered for low noise. 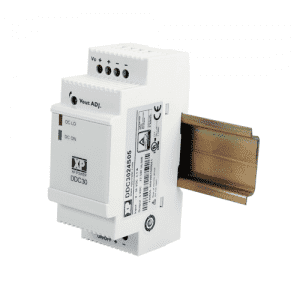 The input meets EN55022 Class A with wide margins, with Class B available as an option. Efficiency is a minimum of 85% at full load depending on the input/output configuration required. An output-fail alarm (Form C) and remote shutdown or enable can be installed on request. The HHT design eliminates optocouplers and electrolytic capacitors from the feedback loop and significantly reduces component count, resulting in an MTBF that is markedly higher than conventional designs. 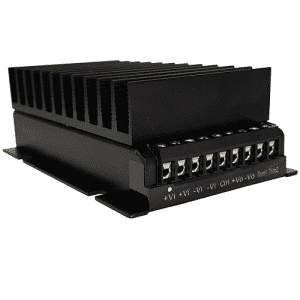 The converters have large design headroom, 4300Vdc input to output isolation and full electronic protection. The internal boards are conformal coated for protection from humidity and contamination and the robust construction withstands high levels of shock and vibration, which also contribute to the long operating life of the unit. 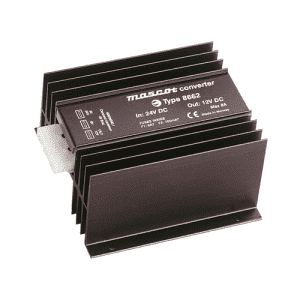 The converters comply with EN/UL60950-1 and equivalent industrial safety standards.